Fugro is the world’s leading, independent provider of geo-intelligence and asset integrity solutions for large construction, infrastructure and natural resource projects. With global onshore and offshore expertise, the company acquires, processes and interprets data related to topography, soil composition and environmental conditions. Fugro’s ocean mapping capabilities include accurate depth and seafloor measurements across the marine domain, from the land/sea interface to the deepest parts of the ocean. Learn more at www.fugro.com. CARICOOS is the Caribbean Coastal Ocean Observing System. 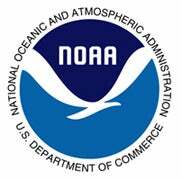 This effort, funded by the NOAA IOOS office http://ioos.noaa.gov/, is one of eleven coastal observing systems and regional associations, which, along with federal agencies, constitute the national coastal component of the US Integrated Ocean Observing System. Learn more at http://www.caricoos.org/. The Department of Marine Sciences (DMS) has its origins in the Institute of Marine Biology (IMB), founded on February 8, 1954, and is associated with the Department of Biology at the University of Puerto Rico at Mayagüez. The university specializes in M.S. and Ph.D. degrees in the areas of Biological, Chemical, Geological, and Physical Oceanography.